If you're interested in attending Luther Rice Seminary (now Luther Rice College & Seminary), let's establish first of all that it is not a diploma mill and certainly stands head and shoulders above other schools I have listed in the unaccredited schools section. Indeed, it was not an easy decision to include Luther Rice Seminary on this list, but I stand firm in my decision only to recommend schools that are either accredited by ATS or a nationally recognized regional accrediting agency. Luther Rice falls short of this mark and has some other red flag issues as well. For starters, the teaching areas of Luther Rice faculty are somewhat limited. 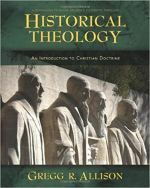 There are strengths in Biblical Studies, Pastoral Ministry, and Apologetics; however, there are currently no professors with doctoral degrees in Church History and the course offerings in this area are pretty dismal, as are courses in Theology. Aside from introductory courses in Church History and Systematic Theology, the number of electives are currently non-existent, a marked weakness for any graduate school of theology and certainly a factor in the schools lack of ATS or SACS accreditation. Although not a reason to discredit a school entirely, it is worth noting that the financial aid offered by Luther Rice is relatively meager compared to many other schools. Most of the financial aid comes in the form of federal aid such as student loans, though some limited tuition assistance is also available. Also, Luther Rice is a 100% commuter campus, even for undergraduates enrolled in their BA programs. Aside from the issues mentioned above, for a student who lives in the area or wishes to work towards one of the online Luther Rice degrees, assuming that you are in agreement with their doctrinal position and are willing to live with the consequences of attending a weakly-accredited school (viability of transferring or attending a quality doctoral program), there are many commendable components of a Luther Rice education. Despite their academic shortcomings, there are several capable professors on campus, particularly in Apologetics. The course offerings in this field are particularly strong, as are they in Biblical Studies. Another nod for potential Luther Rice students is that the tuition costs are relatively inexpensive. Currently, master's-level students pay $232/hr for onsite courses and $237/hr for online courses. Note that they do not charge a substantive "surcharge" for online courses, unlike other institutions. To be sure, my recommendation to avoid this school is based on my concern over its accreditation, but it certainly stands head and shoulders above all other schools on this list and possibly even deserves a description of its (e.g. "Schools to Avoid if You Care About Accreditation Issues). A student considering Luther Rice should simply weigh all the factors involved and make the decision best for him or her.